Does hydration %age include levain? Submitted by hreik on March 23, 2015 – 10:05am. Gurus, I have been happily baking a variety of breads recently. My latest was 1,2,3… and it turned out beautifully. 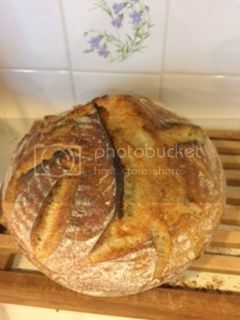 But it seems to me that with such a large %age of levain in the final dough, that the hydration should include the water in the levain, as should the total flour include the flour in the levain. Is that wrong? « Tartine with malted wholegrain bread flour? To be me is how it’s meant to be.